UPDATED: High quality photos of the Promos... from the main site itself. 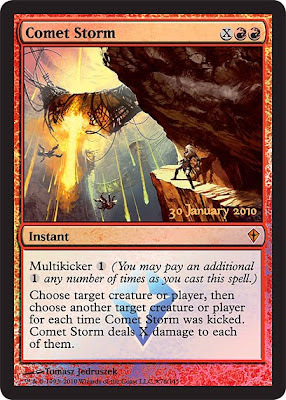 Comet Storm is the Prerelease Promo. 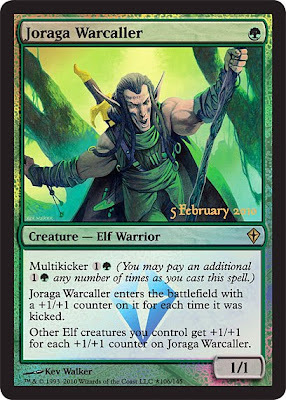 Joraga Warcaller is the Release Promo.